Welcome to TemporaryResidentPermitCanada.com! Our team of professionals helps Americans apply for a Temporary Resident Permit (TRP) or Criminal Rehabilitation (CR) so that they can travel to Canada as smoothly as possible with a DUI or other criminal record. If you would like advice from an experienced attorney, you will be glad to know we provide extensive FREE consultations to assess a candidate's chances of being issued a Temporary Resident Permit or Criminal Rehabilitation. You can then decide if our flat-rate service is right for you. Our Canadian immigration attorney is licensed to provide legal representation to Americans regarding all Canadian immigration matters. Since we focus primarily on criminal inadmissibility to Canada, we know the Rehabilitation and Temporary Resident Permit application processes inside and out. We are also available to speak outside of normal business hours, so you are not forced to discuss your private affairs from the office. We understand that many people only learn that they may not be permitted entry into Canada due to a criminal record at the last minute. For this reason, we offer an expedited Temporary Resident Permit application service. 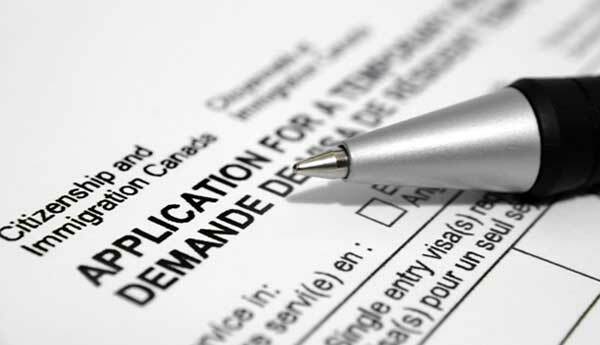 We pride ourselves on being able to prepare a TRP application that will maximize the chances of our client being approved for criminal entry into Canada even under the most pressing of deadlines. We also realize that most people want to spend the minimum amount of money to mitigate their criminal inadmissibility problems. Having gained a reputation as an outstanding Canadian immigration authority by working earnestly for our clients while always being forthright and reachable, we are able to provide excellent quality, fast, and affordable legal services to Americans residing in all 50 states.